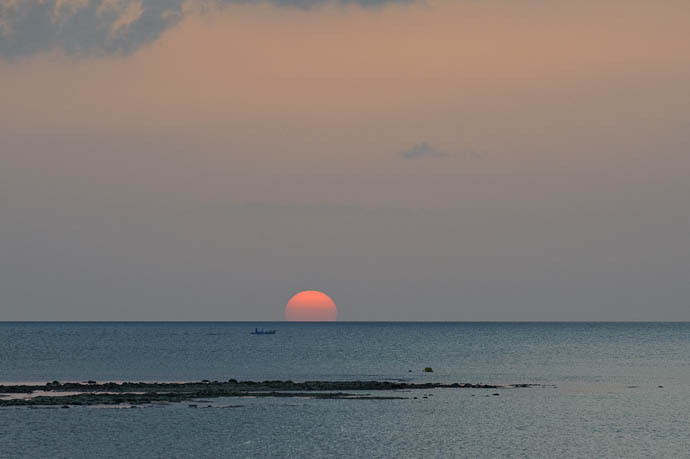 Our second sunset on Ishigaki, much less interesting than the first, but soothing and calming after a long day seeing the sights, playing on the beach (Part I, Part II), and climbing short mountains. You had to crop even with 200 mm lens. I wonder what could be the best lens for closeup sunset shots, like 400 mm?